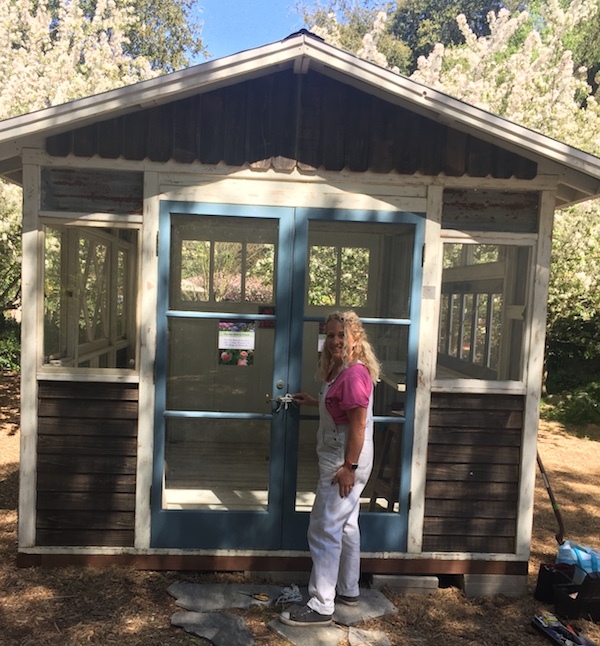 Sabrina and I always wanted a cute little she shed shop … real floors and windows, not just a website with paypal attached. Well our wish came true, at least for the next few months! 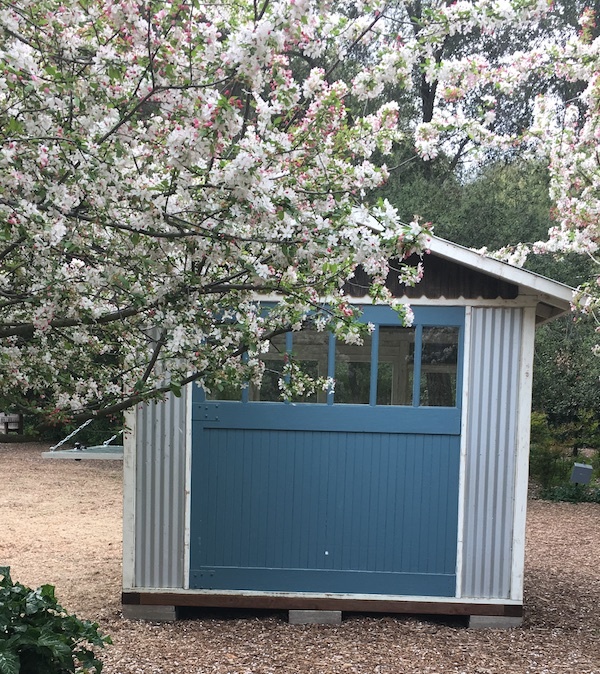 Introducing The She Shed Shop at Descanso Gardens. Here you’ll find our newest coolest items for spring and summer, all within the cutest she shed in Southern California. 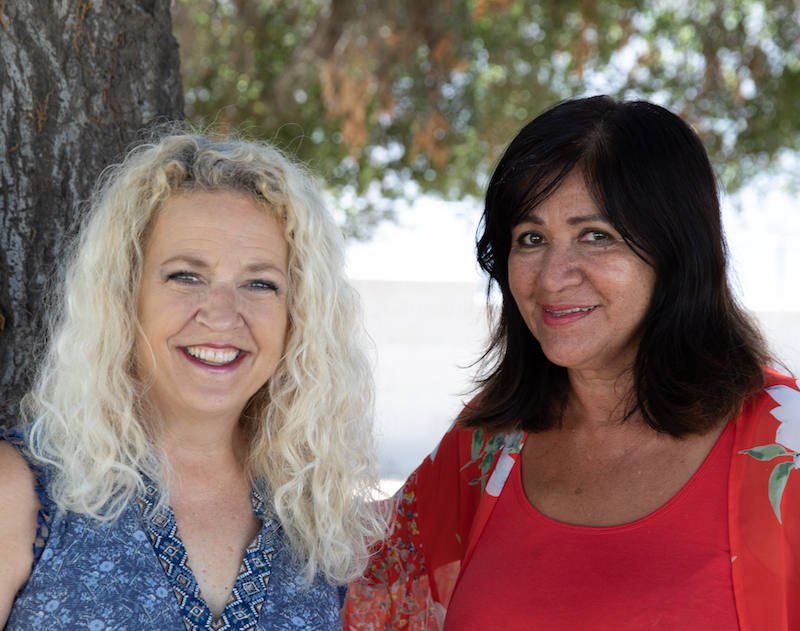 We are so lucky to be part of this year’s Pasadena Showcase House for the Arts event. Descanso Gardens is a huge historic botanical paradise in La Canada-Flintridge, set in the foothills above Glendale, California. Guests will tour the historic Boddy House, which has been transformed by local designers into a spectacular array of tasteful yet innovative room settings. Our she shed is part of the gift shop area that visitors come through on their way in and out of Boddy House. If you haven’t been to Descanso Gardens you are in for a serious treat. It started as the back yard of one Elias Boddy, who founded the Los Angeles Illustrated Daily News. (His 150-acre back yard — gee, those were the days.) Boddy loved camellias and even purchased the plant inventories of two renowned plant growers of the time. The park is still world famous for the camellias but also boasts a 5-acre rose garden, ancient oaks and a Japanese garden with loads of cherry and crabapple blossoms. There is also a darling little railroad called The Enchanted Railroad the kids will love. Enamel watering cans, garden stakes, antiques and more. The she shed itself is also available. 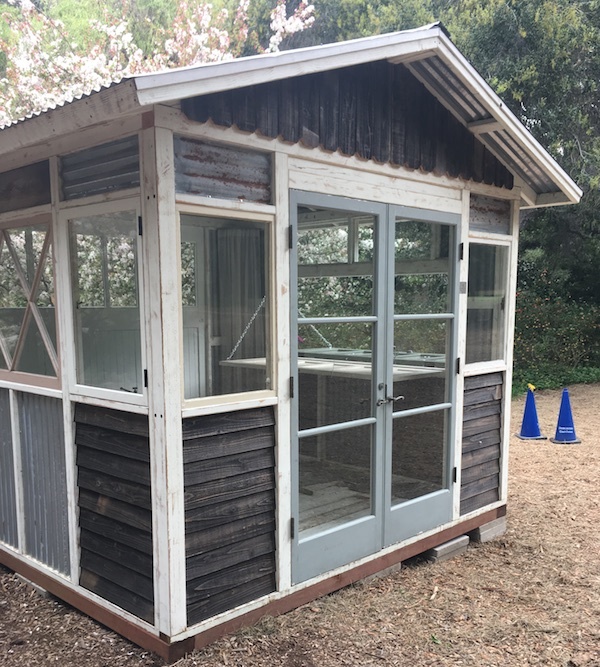 It is 10 x 10 and features an old carriage door that makes up the back wall as well as a drop-down bar and a very cool period double French door. Oh, and we are throwing in the most incredible antique floorboards salvaged from a horse stable. Please let us know if you want more details. We hope you’ll join us.